Please use the form below to help you select the equipment, design features, and options for which you would like a quotation. If you’d like information but aren’t interested in a price quote at this time, please send an email. A bare compressor consists of the compressor and flywheel, base plate, hydraulic system piping including oil filter, base oil pressure gauge, low base oil pressure gauge and leak detection system. 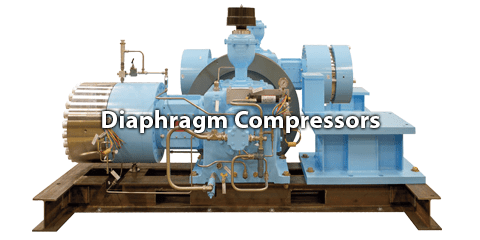 A basic compressor consists of the compressor, base-plate, static conductive oil resistant V-belt drive system, non-sparking OSHA belt-guard, TEFC or IEC electric motor, diaphragm failure leak detection system, relief valve, inlet filter, accumulator, heat exchanger, relief valve and after-cooler. * You must provide this information in order for us to respond to your request.